A lot has happened in the last year since my last post. I moved from the East to the West Coast which, hopefully, will expand my quilting experiences. I just finished a nine day vacation on the "right" coast, and have some things to share. Upon visiting Virginia, I made a visit to Virginia Beach Beads. Dale, the owner was very helpful, as usual. I bought just a few things to play with since I haven't used any of my previous stash. I did browse a lot and put plenty on my hope list. I met a delightful lady by the name of Shirlene Cox who does beautiful work. She gave me a very attractive sun catcher in exchange for some fabric beads I promised to send her. (Can't beat Southern charm). I did buy some extra fine glitter (in another shop) to finish the fabric beads with, so I'm ready to play. 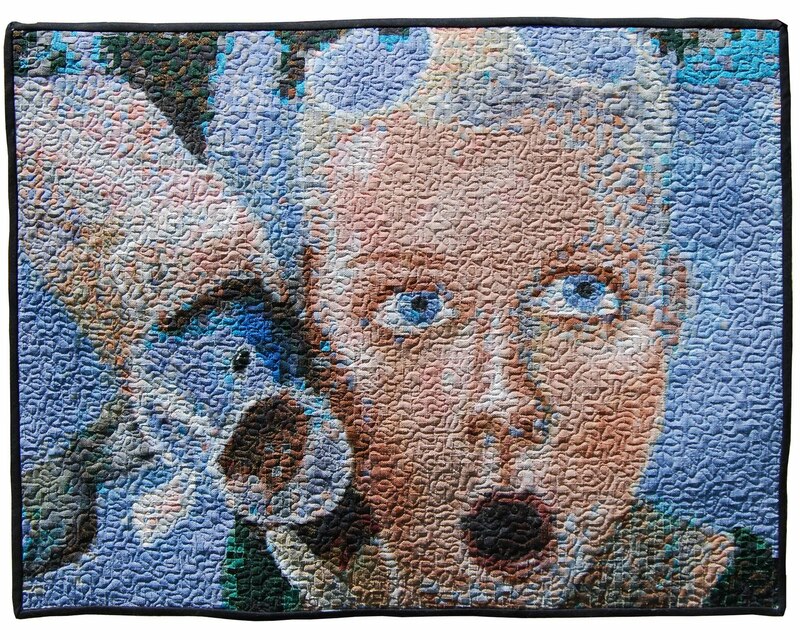 I've been working on a few memory quilts over the last several months. 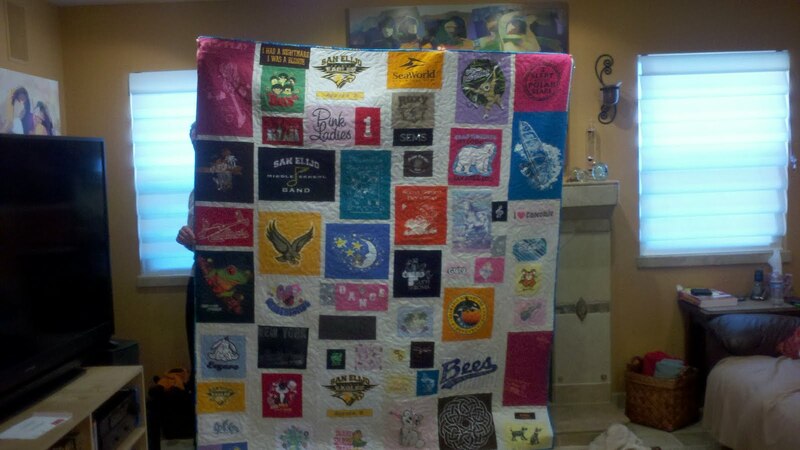 One for a friend from her baby daughter's clothes and a tee shirt quilt for an in-laws coworker's daughter who just graduated from High School. Whew, glad to do done with these. I have a show quilt that I'm working on so I'll put up photos regarding the progress of this soon. I was juried into a SAQA show called "Shared Stories" that will be at the Frontporch Gallery in Carlsbad CA from July 9-Sept 4. If anyone is in the area, please stop by and check out all the wonderful quilts on display. Here's a copy of the invitation. I'm sure there is more to share but I'm writing this on the airplane ride back to the "left" coast and am missing a wonderful opportunity to nap. Soon it will be back to work and in the studio keeping the love of quilting alive. Until next time, remember, It's all about the quilting.